Improving Foul Shots One Player at a Time. and win or lose a game. 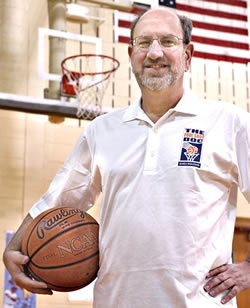 Coach Wolfson, The Foul Shot Doc, has helped youth, college, and professional NBA teams and players at every level improve form and technique to reach peak performance, especially when it comes to free throw/foul shooting. Trained in sports psychology and the methods that have enabled professional NBA players, like Jameer Nelson of the Detroit Pistons and Trevor Ariza of the Washington Wizards, to improve performance and results for themselves and their teams. He has served as a shooting consultant to Kean University Women's team which recently reached the Final Eight in the NCAA tournament. His 33+ years as a mental health counselor has helped hundreds of athletes in a variety of sports improve and reach higher goals. ©2019 Foul Shot Doc. All Rights Reserved.